I added the antennae and stitching on the butterflies with a Staedler pen. I also used “Kermit” from Basic Grey’s Green at Heart line for the pink circle in the middle. 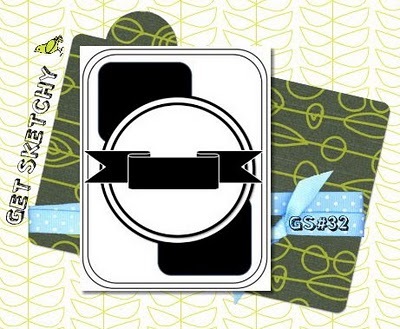 The card base is Kraft cardstock from Bazzill. I’m not sure what brand the sentiment sticker is; it was a freebie included with a special edition of Paper Crafts magazine. 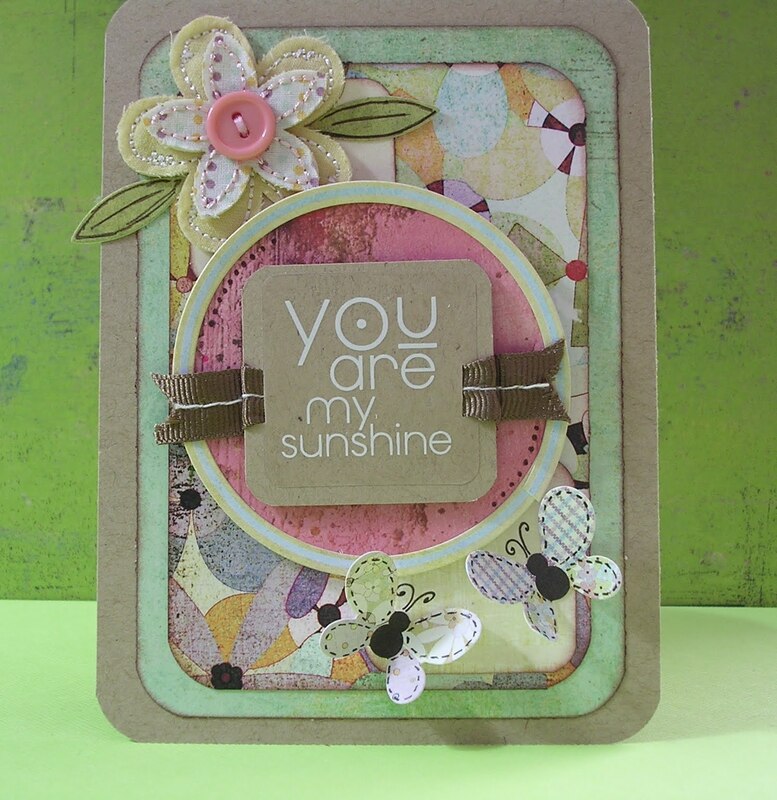 What a cute springy card! I love that kioshi line too… so many possibilities. Great job on the sketch!